Foiling technology is what allows the F50s to reach speeds of up to 50 knots. United States SailGP Team coach Tom Burnham explains the concepts behind it. 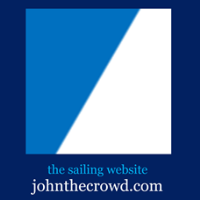 SailGP.com video above published Mar 20, 2019. Next stop on the SailGP tour: San Francisco, May 4-5.